There are two different ways to order products from Stampin’ Up! #1. 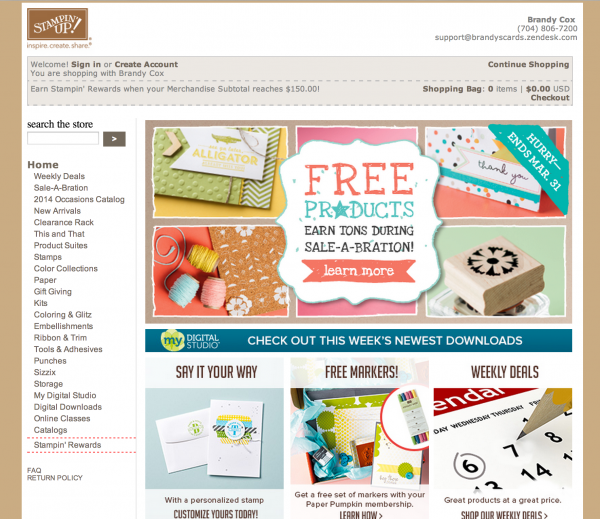 Online ordering directly through Stampin Up with Brandy designated as your demonstrator – available 24 hours / 7 days a week. Click the blue box above to place your order online at Brandy’s online store. Finalize payment online. During the ordering process, if you select “No Contact”, Brandy will still get credit for the order, but she will not know who the order was from. This means she has no way of thanking you for the order. Brandy will add up the order and send you an email back with the total and payment options. Brandy will email you a Paypal invoice. There is a link in this email invoice that you can click and finalize payment for your order. You do not have to have a Paypal account, you can use a credit card to finalize payment. To do this click on the link in the invoice and select “Other Form of Payment” and you can use a credit card here. Once the Paypal invoice is finalized and Brandy receives payment, Brandy will place the order with Stampin’ Up! 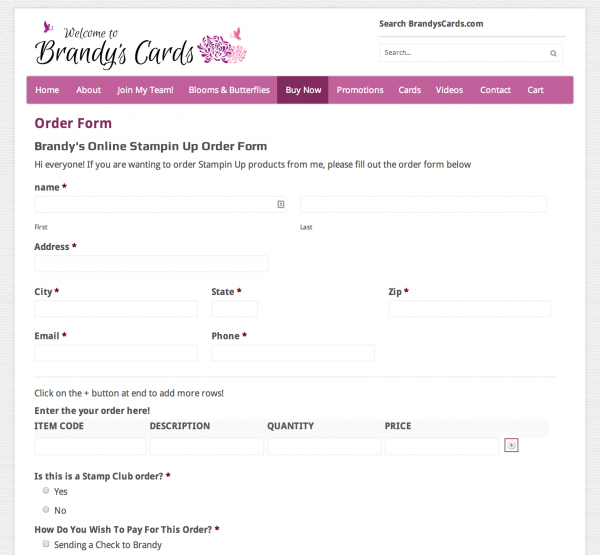 After placing the order, Brandy will email you receipt from stampin up.